Everyone has, for sure, already heard the word “avant-garde” one way or another, but who has already thought about its meaning? Actually, this is a relatively unclear concept, difficult to define in a few words. One can say that this artistic and cultural movement finds its inspiration in the ideas of the French Revolution and is characterized by a touch of modernity ahead of its time. Thus, an artist who claims to be avant-gardist, to be it a painter, writer, musician, or even a fashion designer, will have to free himself from the traditional restrictions due to the standards of his time to create a new work, thus breaking with classical concepts that have become obsolete, and rejecting any reference to the earlier arts and the artists who created them. This year, we have submitted the word “avant-gardism” to our students as a basis for reflection. 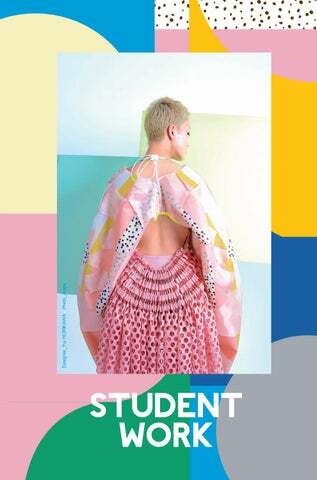 But we also asked them for an extra effort in their search for originality by setting the title of the graduate collection as follows: "Beyond avantgarde"! We would ask them to go further than the "classical" avant-gardism, further than the rejection of what exists or what has existed, and further than a basic renewal or an annoying reinterpretation of what was once done, what was fashionable in the past. This year, our students are not only ahead of their time; they managed to be ahead of the originality and innovation, "Beyond avant-garde". QRコードを読み込むと2019年卒業コレクションの動画をご覧いただけます。 Scan the QR code and watch the official video of the Graduate Collection 2019. 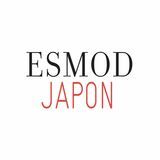 ESMOD JAPON 公式アカウント　エスモードのニュースや学校生活を更新中！ Get all the latest news and updates on the official accounts of ESMOD JAPON!